It was purely by chance that I was on twitter at that time – as it’s another thing I’ve cut back on. The tweet was an announcement by David Jackson. A book he was launching differently from the previous books in the series – he was looking for people to take a read of it. Before my first book was published, I knew next to nothing about social media. It was not something in which I felt I had the time or the inclination to get involved. Around publication time, though, I felt I ought at least to dip a toe into those murky online waters. Of the two main choices – FaceBook and Twitter – it seemed that the prevailing advice was that Twitter was the most useful for authors. Twitter also appeared much less demanding in terms of the time and effort I needed to spend on it. The whole philosophy of saying what you wanted to say in fewer than 140 characters appealed to my desire for efficiency. If I have to do this, I thought, then let’s keep it brief. So Twitter it was. At first it seemed a daunting place, like entering a dark cave and wondering where everybody else was lurking. My first tweet was a feeble attempt at humour – something about asking where the bar was. I don’t think it elicited any replies. My next few tweets were no more successful either, and I was beginning to feel like the new kid at school, snubbed by all the other kids who had known each other for years. For a while I was tempted to give the whole thing up as a waste of time. What made the difference was when I chanced across a conversation about Pariah, my debut novel. It was neither favourable nor damning – just a remark that somebody was intending to read it. It was now or never to issue the Twitter equivalent of a discreet cough to announce my presence. Plucking up my courage, I invited the tweeter to let me know what she thought of it when she’d read it. Her response astonished me in how excited she seemed to be that I had made contact, and pretty soon she was introducing me and inviting everyone else to follow me. It was from that point onwards that I realised that Twitter was not the cold, clique-infested place I had suspected it was. On the contrary, it is amazing just how friendly and supportive it can be. A prime example of this has been in connection with the release of my latest novel, Cry Baby. I have posted elsewhere about the circumstances surrounding this, but in brief I have chosen to eschew ‘traditional’ publishing in favour of the agent-assisted White Glove Program offered by Amazon. The response from Twitter has been terrific, not only in terms of encouragement and good wishes, but also practical support, ranging from simple retweets right up to acting as early reviewers and hosts for blog posts. Nobody has questioned my decision; everyone has been fully behind me. It has been a huge boost to my confidence in what, for me, is a step into uncharted territory. I would normally hesitate to single out any individual from such a wonderful crowd, but right now I’m going to break that rule. The person to whom I am referring is the host of the blog you are reading right now: Keith Walters. 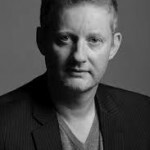 As you probably know, Keith used to write a huge number of book reviews, mainly in the crime and thriller genre, and he was one of the very first reviewers of Pariah. He raved about the book, and later went on to write incredibly positive reviews of the next two books in the series (The Helper / Marked). I count myself fortunate that other reviewers have said extraordinarily nice things about the books too, but with Keith there is one difference that meant a lot to me. Keith recently gave up reviewing to concentrate on his own writing, a decision which I fully respect and admire, and I wish him every success. In the spirit of ‘nothing ventured, nothing gained’, however, I sent him a review copy of Cry Baby anyway, hoping that he would at least let me know his thoughts on the book. Now here’s the thing: Keith could have said he didn’t have time, and that would have been fine with me. Instead, what he told me was that he would come out of reviewing ‘retirement’ for this one book. He would do this for me, because he enjoys the Doyle books so much. I was touched. Still am. So this blog post is just as much about Keith as it is about my new book. 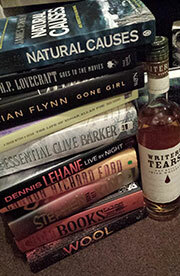 This is my way of saying thank you to one of the greatest book bloggers around. Okay, well after getting over the incredibly kind comments above, the good news is that there is no need for David to take back anything he said as I loved Cry Baby. It’s a very worthy addition to the Doyle series of novels and yet bravely takes risks with its narrative, placing the central character on the outskirts of the investigation and the main story for a fair chunk of the read. But when he’s there, he’s really there – with all of his great banter and views on the world and those around him. 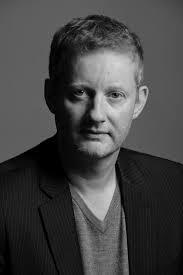 The character of Callum Doyle seems to be able to successfully ‘double-act’ and almost ‘buddy-up’ with anyone he meets, be they his colleagues in the NYPD or the wonderful characters he meets from the wrong side of the law. The scenes with ‘Albert’ who comes in to confess to an awful crime are like verbal gold dust and I’d love to see them played out on screen by two skilled actors. The central plot is very well handled and plays the tension perfectly, with young mother Erin discovering that her baby daughter, Georgia, has gone missing. There are genuinely horrific moments, many of which are played out in the reader’s mind from the skilful writing and the twists along the way as the mother seeks to find her daughter and is forced to act to stand any chance of getting her back. Placing a central character in such continual trauma and jeopardy made me think of Stephen King’s Misery in the earlier chapters but then the whole thing twists and turns with a puzzle to the plot that certainly kept Calum Doyle and this reader on our toes right through to the end. It’s a clever manipulation with this fourth book in that, whilst it still is, I guess, a Police Procedural novel in many respects, it is also a very different construction and tone to the previous books. 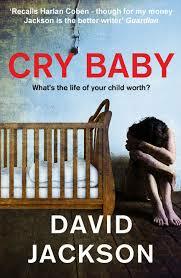 With Cry Baby I think David Jackson has managed a very successful psychological thriller addition within his series. To write this type of story many other series authors I think would feel the need to break out of their series and go with a different cast with a standalone book. And, if you haven’t read the previous three books (where have you been?) then no real need to worry as Cry Baby presents a perfectly self contained novel to simply jump in on. Be prepared for some serious surprises with this one! So, go ahead, click here and check it out for yourself.